Microsoft never hurried to catch up to competition when it came to app deployment, one of the main arguments used by many to avoid the Windows 10 Mobile platform. As a result, the majority of developers roll out their apps to Windows 10 phones long after the apps debuted on iOS or Android. Microsoft’s recently revamped Wallet app is such an example. The tech giant finally released its Wallet app to Insiders, bringing contactless mobile payments to its platform long after Apple and Google made that possible for their users. While the Wallet app has been available on the Store for quite some time, unfortunately many of its features were unavailable. The app opens but that’s it. Unable to add any cards. Have different wallets installed from the store as recommended by the app, but they do not link nor show in the wallet app. Useless. User attitude is about to change as the company rolls out a functional Wallet app this time. The only issue is that the general public has to wait until the Anniversary Update to get their hands on the app. For the time being, the Wallet app is available only to Insiders running the Windows 10 Mobile build 14360 or higher. With Microsoft Wallet, you simply tap your phone on a contactless payment terminal and your default credit or debit card is charged. 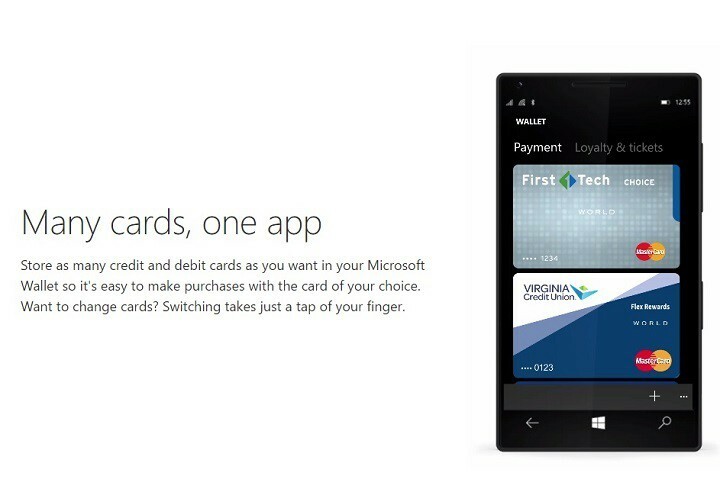 You can store as many credit and debit cards as you want in your Microsoft Wallet and instantly switch betweenthem with just a tap of your finger. The app allows you to also store reward and membership cards for stores, restaurants, health clubs or libraries: all you have to do is scan the bar code right from your phone. The Wallet app supports Visa and MasterCard cards issued by the major banks like Bank of America, People’s United Bank, Virginia Credit Union, with more banks to follow soon. In case you lose your phone, others won’t be able to pay using your Microsoft Wallet even if they have your phone. The phone doesn’t store your card numbers nor your PIN code. The app is compatible with a few Windows phones only: Lumia 650, the 650 dual-SIM, 950 and 950 XL.